Social media has been integrated it into every aspect of business activity. Today we use social networks for everything from PR and marketing to customer service, employee recruiting, sales enablement, and the promotion of workplace culture. We’ve opened up two-way communications on every front, and any friction can spark a crisis. When all hell breaks loose, you’ll wish you had a plan to help you regain your bearings—and take charge. Media intelligence will serve you well any day of the week, but during a crisis it’s indispensable. Don’t get caught off guard. Get the tools you need to help spot early warning signs and best practices for handling a crisis in the age of social media. 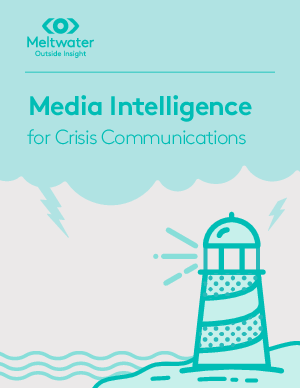 Download our Media Intelligence for Crisis Communications e-book today.